..Netflix is evolving rapidly, however, I need to be extra-communicative. This is the key thing I got wrong. In hindsight, I slid into arrogance based upon past success. We have done very well for a long time by steadily improving our service, without doing much CEO communication. Inside Netflix I say, “Actions speak louder than words,” and we should just keep improving our service. He went on to say that the DVD business would be separated into a new business called “Qwikster,” with a separate team within the company who will focus on mail customers. The service will have the same website and DVD service as previously provided by Netflix, and customers will also be offered the ability to rent video games for the Wii, PS3 and XBox 360, with other improvements to follow. Andy Rendich has been appointed the CEO of Qwikster. 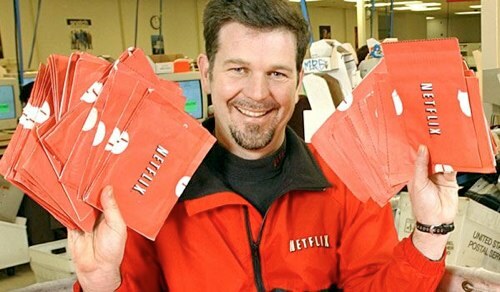 How the market will react will be seen Monday morning, but after the hammering Netflix took last week, the move to seperate the fast growing streaming business from the traditional DVD in mail business is likely to be well received by analysts. As for its customer base: well, a little humble pie never hurt anyone, but long term the biggest risk faced by Netflix in keeping its customers will be content rights.